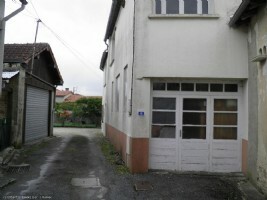 Townhouse to renovate completely with garage opposite. 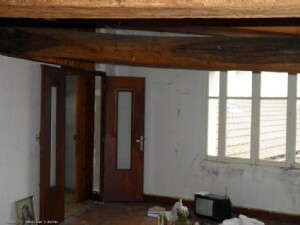 No garden. 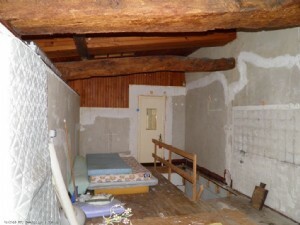 The house offers one large room (of 50m²) on the ground floor and 2 rooms of 46m² approx each on the first floor. 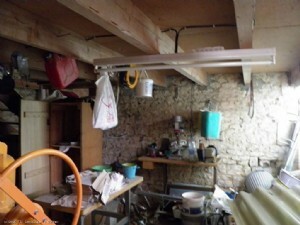 The house is not connected to water and gas and mains drains but all these services are available close by. 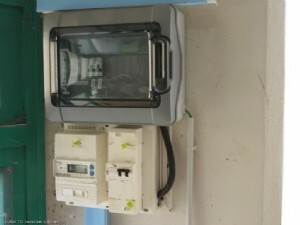 There is an electricity meter. 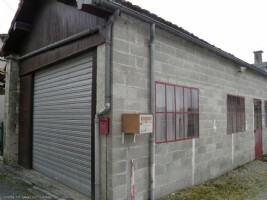 There is a garage opposite (room for one car) and an extra room. 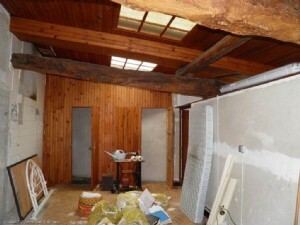 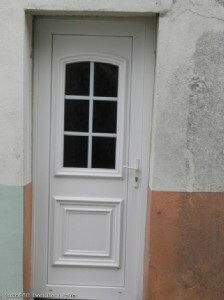 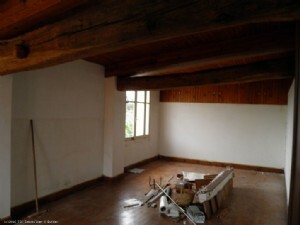 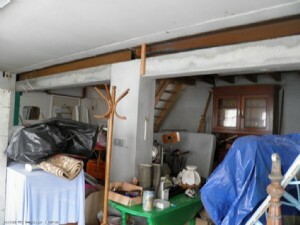 This property would be ideal as a rental investment or as a workshop for an artisan.